The second charter has gone smoothly. 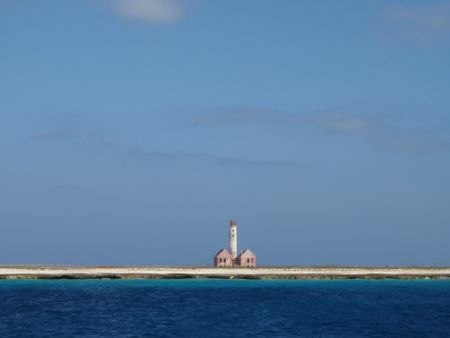 After a great little stop on Klein Curacao, we hit Bonaire and ended up staying there for 5 days. My charter guests really enjoyed Bonaire. They rented a car for a couple of days and drove around getting properly familiar with the island. 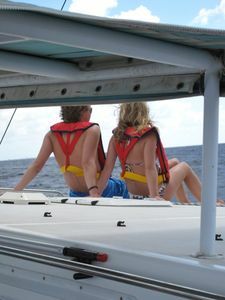 They also went Scuba diving and shopping, not to forget that they sampled different restaurants every night we were there. I joined them for 2 meals: On New Years Eve we enjoyed a very nice meal at an Argentinian steak house and January 2nd we hit up It Rains Fishes (where I ate on Christmas Eve). Both meals were excellent. 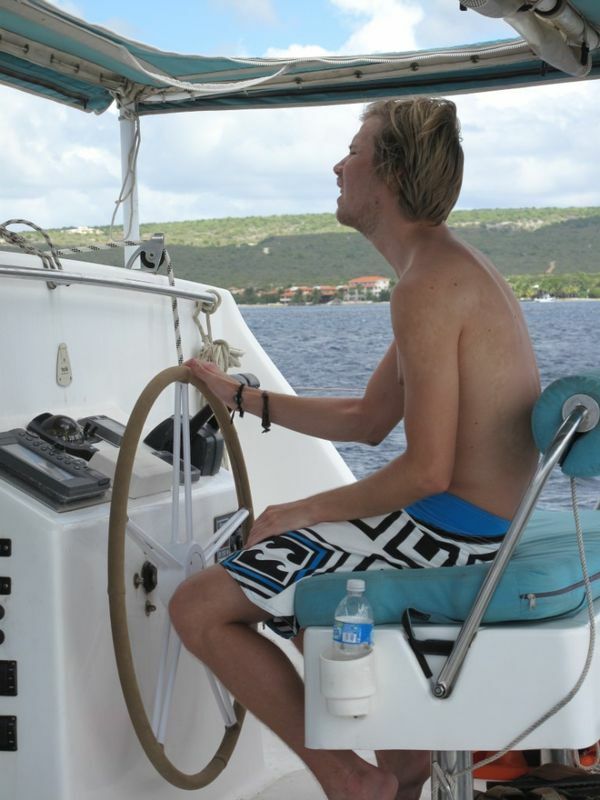 On the second to last day on Bonaire, we let go of the mooring and went for a little sail. 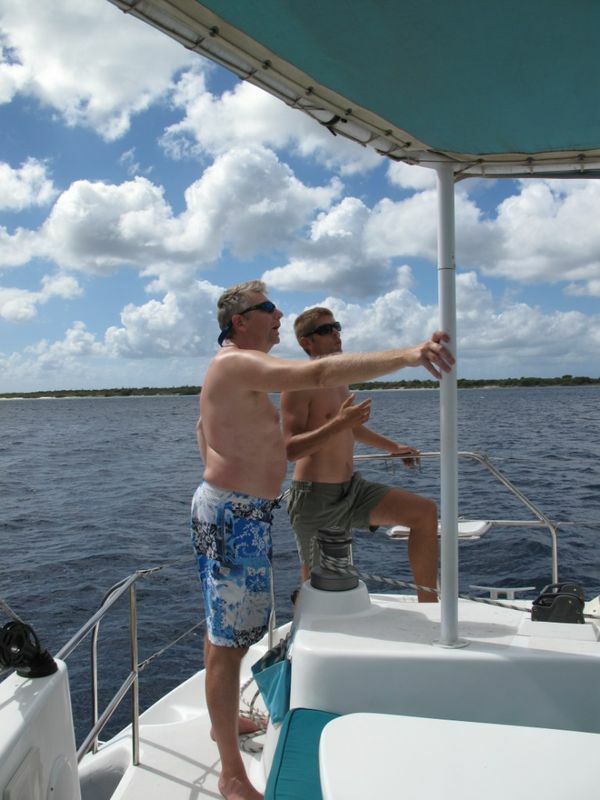 Though they have been on 2 sail charters before, they haven’t really learned how to sail, which was something I set out to change. 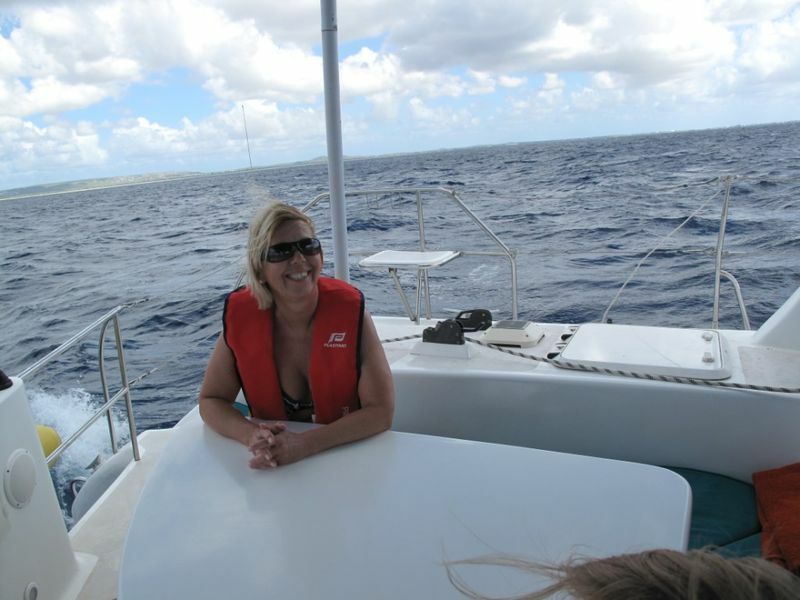 I gave them a little introduction to sailing and proceeded to explain how it works (which honestly isn’t that complex, I mean if I can learn it, anyone can 😉 Then we sailed around Klein Bonaire, hitting speeds up to 10 knots in winds just below 20 knots. 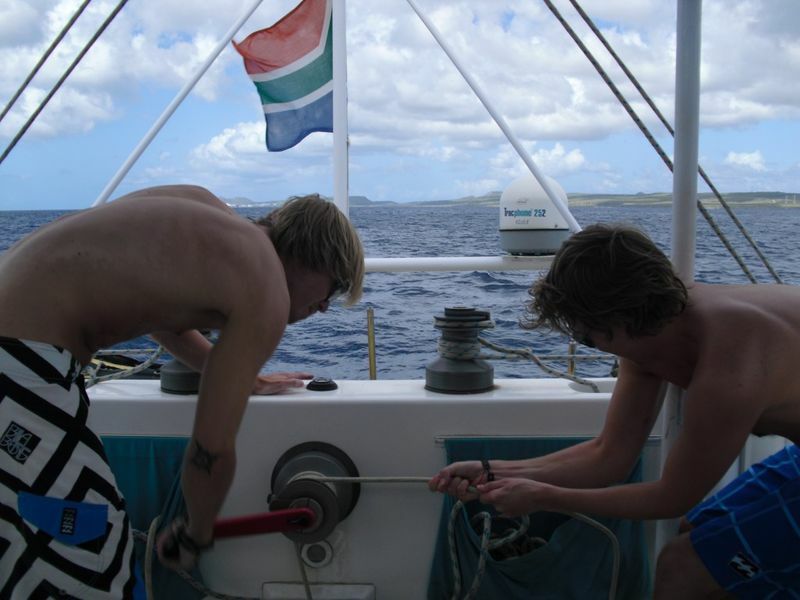 The next day we topped up the water tanks and sailed west to Klein Curacao. 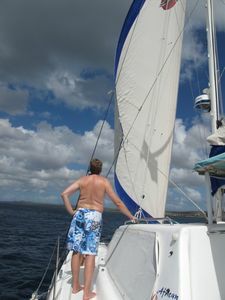 The wind was around 18-20 knots again, so we just unfurled the genoa and sailed on that doing 6.5 – 8 knots in a very relaxed way. We saw a few waves hitting well over 2 meters, but to us they were just an opportunity for a small surf. 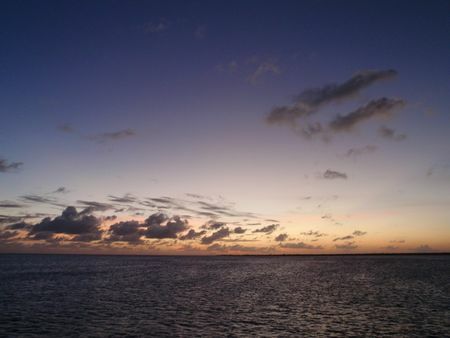 My charter guests enjoyed the remainder of the day on the beach, while I relaxed and read a book onboard. After a swim and a some snorkeling the next morning, we set off for Curacao in around 16 knots of wind with smaller waves than the days before. We sailed into Spaanse Water and found a nice anchoring spot in what they call section A in Caracasbaai. They had rented a car, so we jumped into that and headed into town and checked in to Curacao. I also made sure to bring their tickets, so that I could sign them off my crew list. When clearing in and out of countries, basically the only thing I can screw up, besides forgetting to clear in and out, is the crew list. If the crew list is wrong I am responsible for the people that “jumped ship”. Needless to say I’m diligent when it comes to this. It’s easy when you have a permanent crew, but with charter guests flying in and out, I need to devote a couple of brain cells to it. Today they are cleaning out the boat and I will dinghy them ashore and I will have the boat to myself again. I will however, not be idle: I have a long list of things to buy, repair and work on, so there will unfortunately be no rest for the wicked. I’ll write more about what I’m working on in my next entry.